The Actors’ Benevolent Fund was founded in 1882 by Sir Henry Irving and several other members of the theatrical profession. Already established as a great actor-manager, Irving put his influence in the theatrical profession to good use, and dedicated himself to helping his peers. One of the most renowned actors and theatrical managers of the Victorian era, Irving was also a philanthropist and was dedicated to helping his fellow members of the theatrical community. 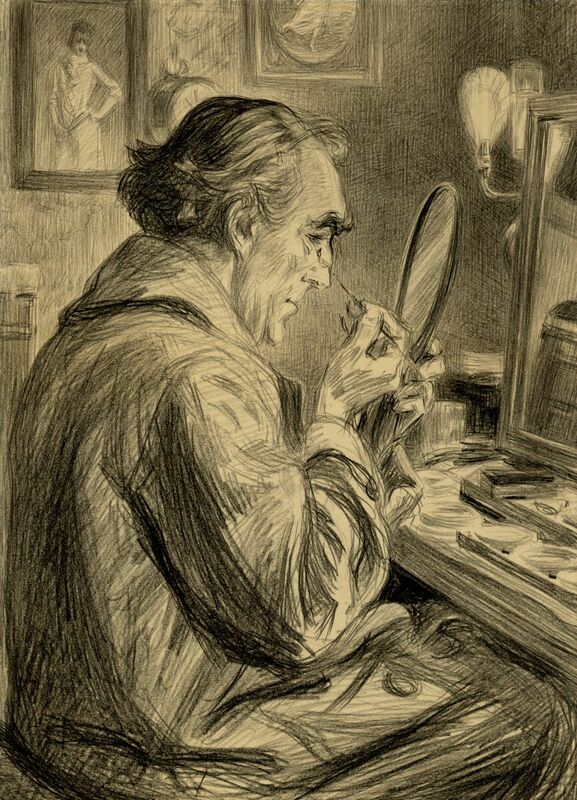 It was with this in mind that, on 4th May 1882, Henry Irving gathered together several influential members of the London theatrical industry to discuss how they could help less fortunate actors. “... [the author] consider[s] the theatre to be a school of immorality, and a place, therefore, where no Christian ought to be seen." With the low public opinion of actors and the theatrical profession in the Victorian era, supporting these actors was vital. An excerpt from the minutes of an 1893 meeting tells of a letter addressed to the Fund, saying that the author “consider[s] the theatre to be a school of immorality, and a place, therefore, where no Christian ought to be seen.” There even existed an Act of Parliament which described all actors as “rogues and vagabonds.” To attempt to help those actors left in poverty by this reputation was a big task indeed, but a task which must be started. And so, the Actors’ Benevolent Fund was founded. The Presidents following Sir Henry Irving have been Sir Charles Wyndham (1905-1919), Lady Wyndham, the actress Mary Moore (1919-1929), Sir Gerald du Maurier (1930-1933), Charles B. Cochran (1934-1939), Sir John Gielgud (1940-1953), Lord Olivier (1954-1989), and, since 1990, Dame Penelope Keith. Originally, the founders of the Fund suggested that all actors be taxed “one penny in the pound upon all salaries” to pay for its charitable activities. This proved unpopular, and was replaced with a programme for annual donations from members of the theatrical profession who wished to contribute. The Actors’ Benevolent Fund has since been upheld by its members: actors and actresses who support the Fund and have a say in the way it is run. Other methods of fundraising were explored, and Irving used his skills as an actor and his influence over the British theatrical community to stage benefits for the Actors’ Benevolent Fund. The first benefit, held at the Drury Lane Theatre Royal in 1883, included excerpts from Iolanthe and The Merchant of Venice, and starred not only Irving himself, but also his renowned leading lady Ellen Terry. These benefits were continued regularly until the 1930s, and starred many of the best actors of the time. In the 1930s, the Fund began to organise other fundraising events such as a midnight supper party and ball (1933), and a ‘mammoth’ cabaret and ball (1935). Annual dinners were also held to raise money for the Fund, and to report back on the activities of the charity over the previous year. The first of such annual dinners was held on June 24th 1891 at the Hotel Metropole (now the Corinthia Hotel in Whitehall), and was chaired by Henry Irving himself. Its guest of honour was Charles Dickens Jr, son of the great author of the same name. The entertainment was varied and frequent, including songs such as ‘We’re all Noddin’’ and ‘Come into the Garden, Maud’, performed by renowned operatic singer Sims Reeves. One attendee of the first annual dinner was William Terriss, a benefactor of the ABF, and a man who would later meet his fate in an event which shocked the Victorian theatrical community to its core. Whilst not a household name today, William Terriss was one of the most popular and respected actors of the Victorian era, famous for playing the role of the swashbuckling hero. In 1880, he joined Irving’s company at the Lyceum Theatre. Terriss was heavily involved in the Actors’ Benevolent Fund in its early days, and often gave donations and superannuation funds to its beneficiaries. One recipient of such donations was Richard Prince, a young actor who had previously been employed by Terriss as a player at the Adelphi Theatre. Due to unprofessional behaviour and alcohol-related issues, Prince was fired, and seemed to take it badly. When he appeared, Prince attacked him, stabbing him three times with a dagger. On 16th December 1897, Prince appeared at the ABF offices at Adam Street seeking a grant, but was told by General Secretary Mr Colston that the Council wasn’t due to meet until the next day. Angered, Prince made the two minute journey to Maiden Lane and the stage door of the Adelphi, and waited for Terriss to arrive. When he appeared, Prince attacked him, stabbing him three times with a dagger. Terriss’ death shook not only the theatrical profession, but also the wider public. The Queen sent a telegram of condolences to Mrs Terriss, writing of the English stage being robbed of “one of its brightest ornaments,” and an estimated 50,000 people attended Terriss’ funeral at Brompton cemetery. Prince was admitted to Broadmoor, where he is said to have spent the rest of his days performing in plays for his fellow inmates. Some say that Terriss’ ghost can be found haunting the Covent Garden tube station, just a few minute’s walk away from where he met his gory death. Terriss’ legacy continued in the career of his daughter, musical comedy actress Ellaline Terriss, who went on to marry actor and writer Seymour Hicks. Despite this shocking and gruesome event, most of the ABF's early history was rather less unpleasant. In a report from the ABF’s fourth annual dinner, we find out that the Fund gave allowances totalling £1,000 in 1894 (over £120,000 in today’s money), and administered relief to over 12,000 applicants. By 1897, the Fund had provided for 20 orphans. Around this time, Irving set up a second charity dedicated to helping the children of actors, now called the Actors’ Children’s Trust. During the First World War, the ABF set up a special committee to deal with the war emergency. This committee gave grants to actors affected by the war - and sadly, in many cases, their widows. In the late 1900s, the ABF continued to help actors and stage managers experiencing hardship due to injury, illness, or old age. During this time, the charity was lucky to have been supported by some of the most renowned actors of the time. Between 1940 and 1953, the President of the ABF was none other than Sir John Gielgud. Gielgud dominated the British stage in the mid-20th century, winning an Oscar, Emmy, Grammy, and Tony over his career. Later in life, Gielgud donated a great deal of his early artwork to the ABF, dating back to his time in art school in the 1920s. 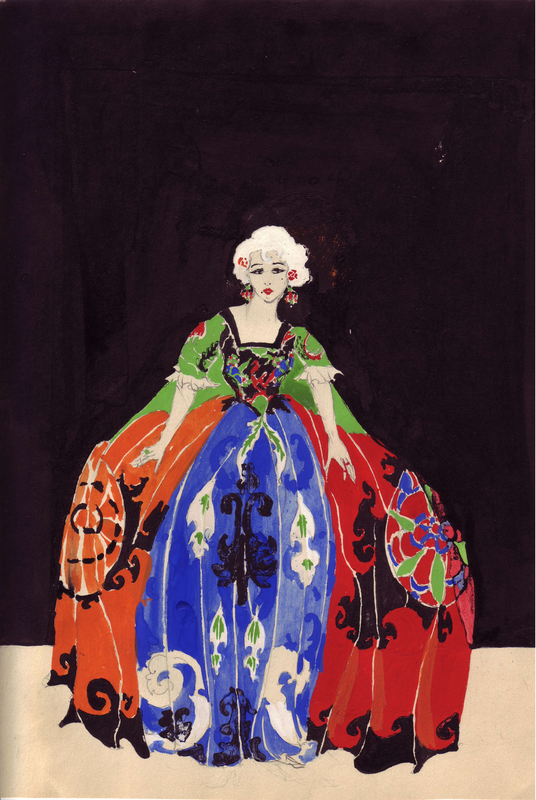 Click here to see more of his designs, held in the ABF archive. In 1954, Laurence Olivier took over as President. Another great of British stage, and later of film and television, Olivier held the position of President for 35 years. May 14th 2002 was a very special day in the ABF calendar. Two years before HRH The Prince of Wales became the ABF’s Patron, taking over from his mother, HM The Queen. There was a meeting at St James’s Palace in 2001 attended by Penelope Keith (President), Milton Johns (Honorary Treasurer), Peter Bourke (Council Member) and Jane Skerrett (General Secretary). At this meeting Prince Charles asked what he could do to help us. He loves actors, and is particularly interested in our beneficiaries. He wondered if a trip to his Highgrove garden in Gloucestershire would be a good idea, and of course we enthusiastically agreed. The invitation duly arrived, and May 14th was the day. "I came away with many gorgeous images, that I can return to in my mind for the rest of my life." I came away with many gorgeous images, that I can return to in my mind for the rest of my life. I had no idea Highgrove would be such fun; so beautiful, so artistic and so personal. Turning every corner was magic, not knowing what you would come across. "I had no idea Highgrove would be such fun; so beautiful, so artistic and so personal. Turning every corner was magic, not knowing what you would come across." On 5th August 2009, the first benefit in aid of the Actors' Benevolent Fund since the 1930s was held. The guest speaker at the 2009 ABF AGM, Simon Callow, left after the meeting for the Theatre Royal Haymarket, where he was appearing in a production of Samuel Beckett's 'Waiting for Godot'. 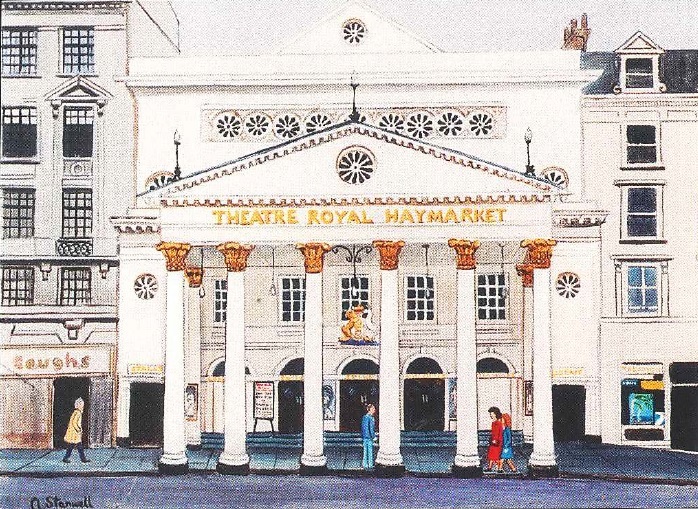 Simon floated the idea of a benefit, and the idea came to fruition thanks to the Theatre Royal’s Chairman, Arnold Crook, the theatre’s staff, and the actors. On 5 August 2009 there was a Special Benefit Matinee of 'Godot' with its outstanding cast: Sir Ian McKellen, Sir Patrick Stewart, Ronald Pickup and Simon Callow. Richard Linnell played the Boy, and the director was Sean Mathias. The benefit was a success, with a full house. Sir Ian McKellen spoke at the curtain about the work of the ABF, and generously donated all the money from the sale of his pictures on display in the theatre. All the profits from the performance went to helping the beneficiaries of the Actors’ Benevolent Fund. On their behalf, the ABF expressed their heartfelt gratitude to everyone at the Theatre Royal Haymarket – both onstage and off – for their kindness and generosity. 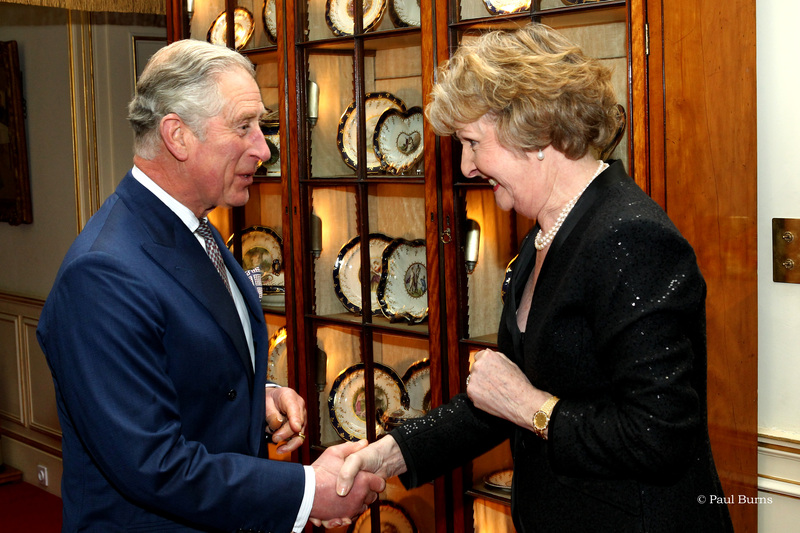 On 12th February 2014, trustees and beneficiaries of the Actors' Benevolent Fund were invited by our royal patron, HRH the Prince of Wales, to his official residence at Clarence House. Prince Charles and the Duchess of Cornwall hosted an evening reception to meet the guests and support the work of the ABF.